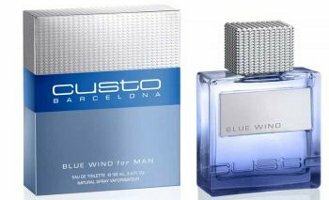 Spanish brand Custo Barcelona has launched Blue Wind, a new fragrance for men. Blue Wind is meant to evoke fresh air and cool waves. Blue Wind was developed by perfumer Alberto Morillas; notes include mandarin, bergamot, aquatic accord, pink pepper, patchouli, hedione, woods and musk. Custo Barcelona Blue Wind is available in 50 and 100 ml Eau de Toilette. Do these even sell in the US? I bought a Custo bottle in Spain but have never seen them here. Huh! Thanks, I’ll have to check out those stores!